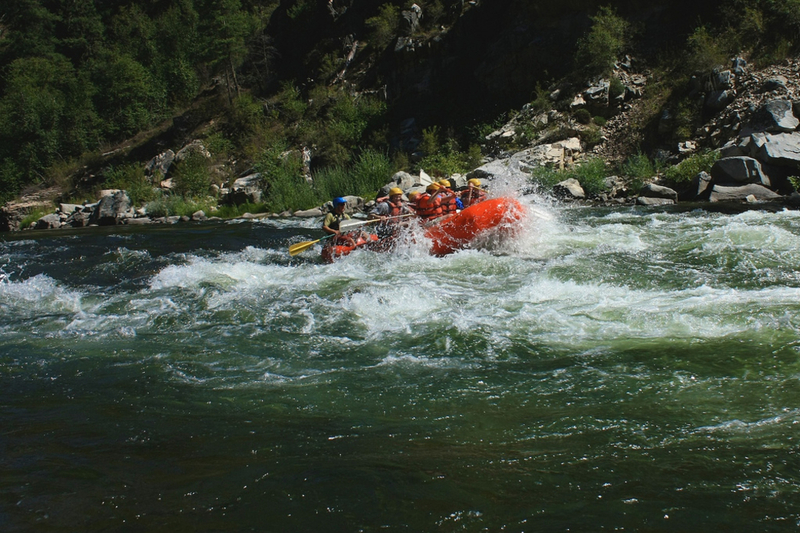 A very popular section of river, the Main of the Payette is close to the city for fast access, and features fun, but straightforward whitewater. The Main Fork of the Payette is formed where the South meets the North Fork at Banks. In close proximity to the city, this run is a popular one with boaters after work when summer days are long. The Main has bigger class III water, straightforward rapids and not much flat water, making it a continuous white water ride. At only seven miles in length, the take out is a short trip away at Beehive. 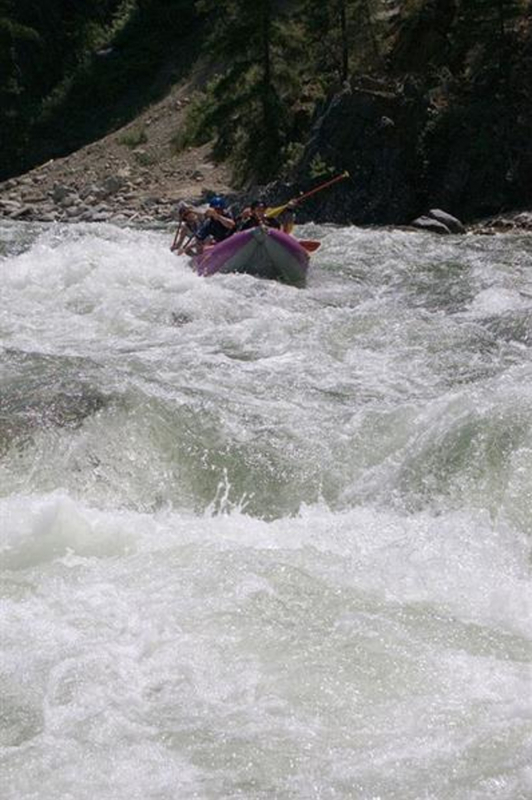 The Main can be combined with the South Fork, class III-IV, a more challenging run than the Main including great whitewater, surfing, and scenery (difficulty of 3+ out of 5). 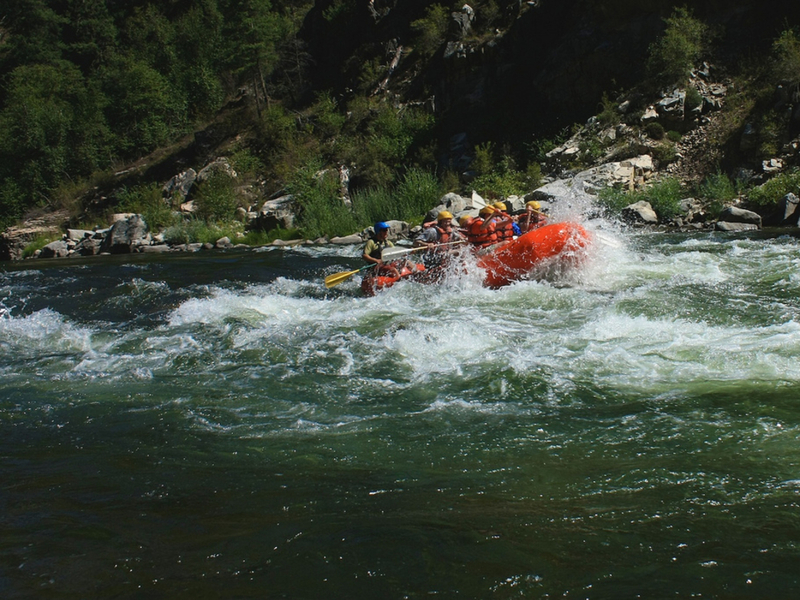 Or, take a long weekend of it and add in the technical Canyon Section, (also class IV and 3+ of 5), that has good whitewater, beautiful scenery along sheer canyon walls and a mandatory portage at Big Falls. There aren’t any long swims and for those still mastering their skills, this is a great stretch to cut teeth in preparation for true class III or for a family outing. Because there aren’t many flat spots, this is also a great run for kayaks. Click here for directions to the put-in.